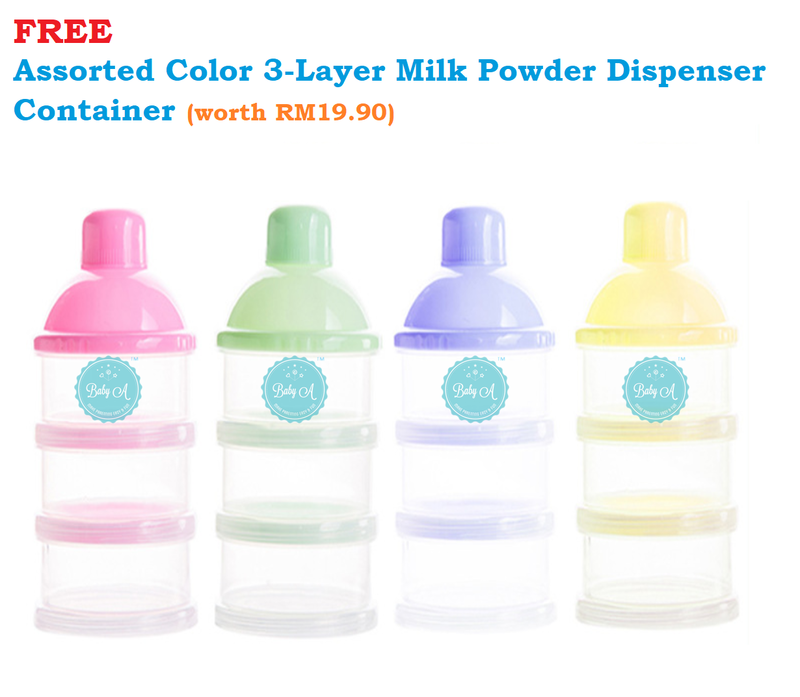 There are 3 bottle holders in the front of thebag separated from other baby items. 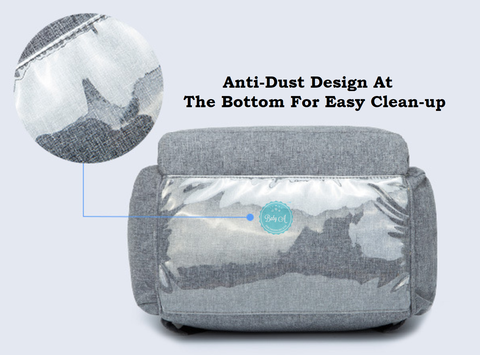 These 3 holders with insulation layer oftin foil can keep warm or cold for hours. There&apos;s an opening at the back of the bag with awaterproof pocket. 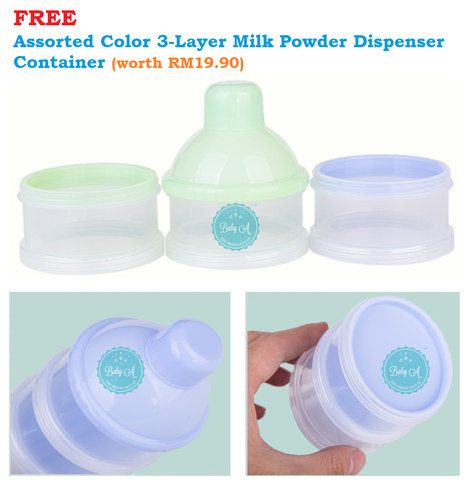 It&apos;s convenient for you to put in or take out things. Wet cloth or diapers can be put in thewaterproof pocket separated from dry cloths and diapers. 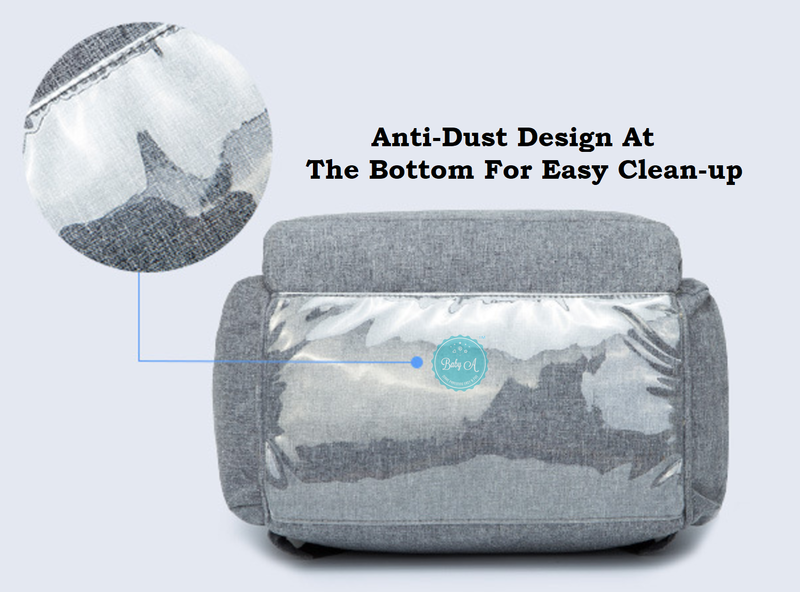 Also the anti-dustcover at the bottom make it easy to clean off the dust. 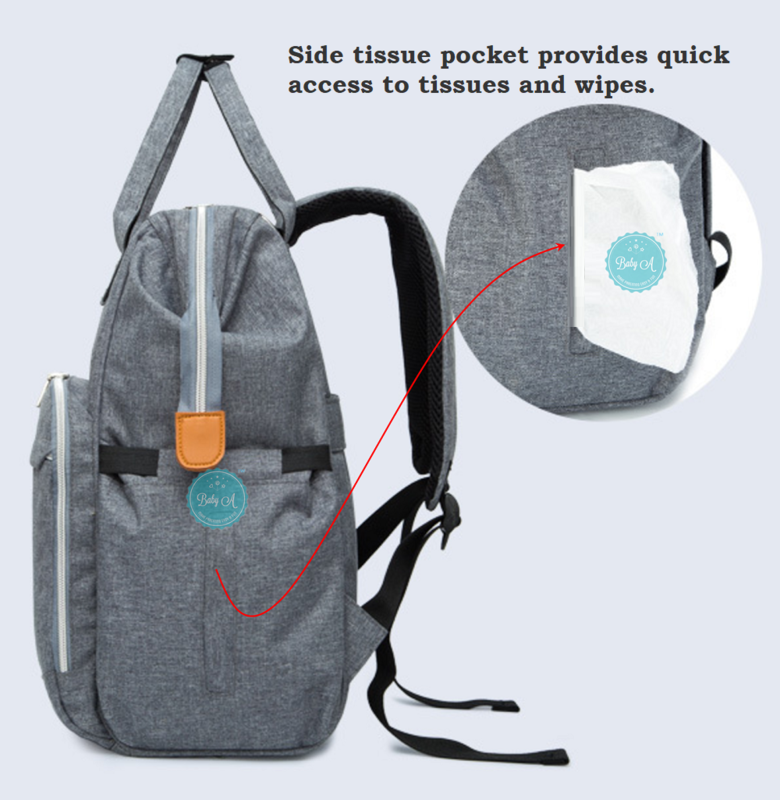 Side tissue pocket design provides quick accessto wipes when spills happen or to keep baby clean and fresh. 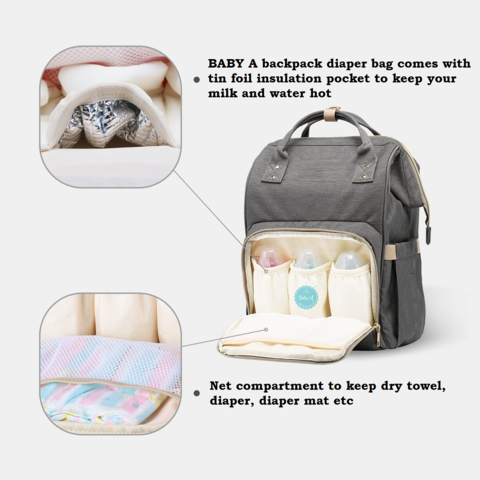 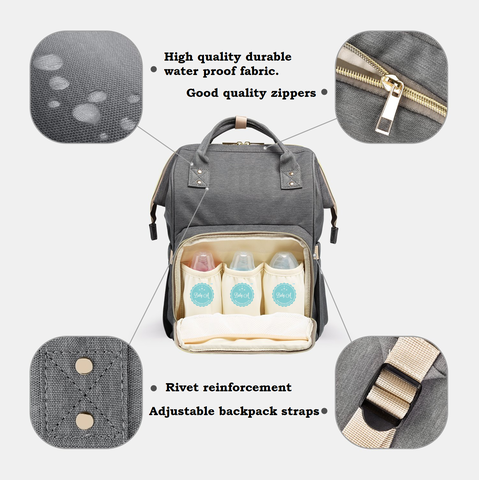 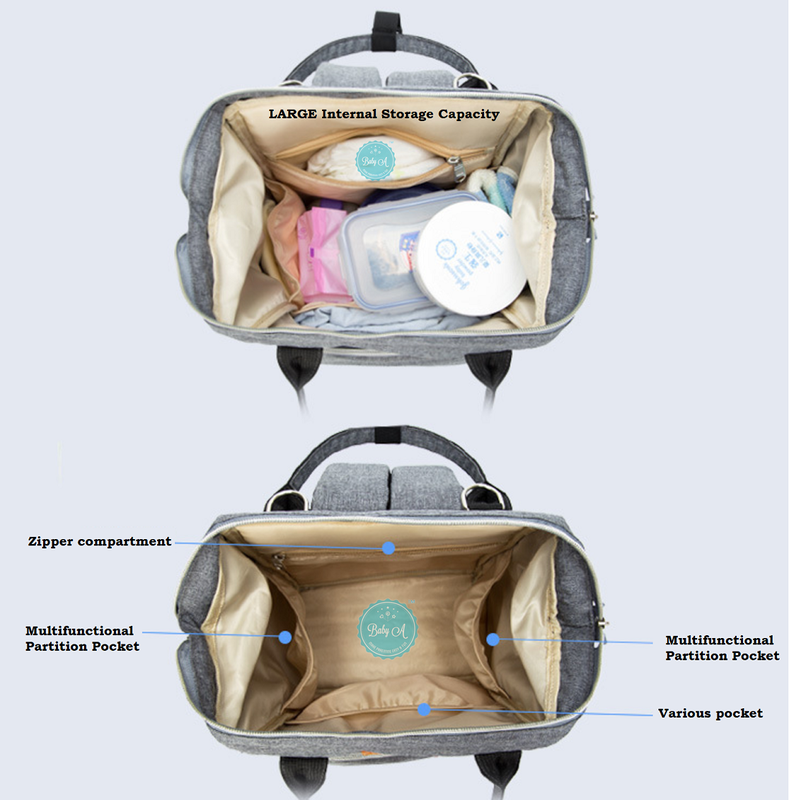 Large interior pocket includes individualizedstorage compartments and zip close pockets to safely organize baby&apos;s toys, burpcloths, apparel and more. 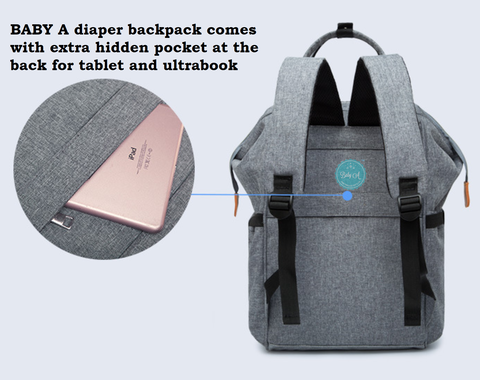 Zippered interior and exterior pockets are alsohandy for safe keeping parent&apos;s keys, cell phones and wallets. 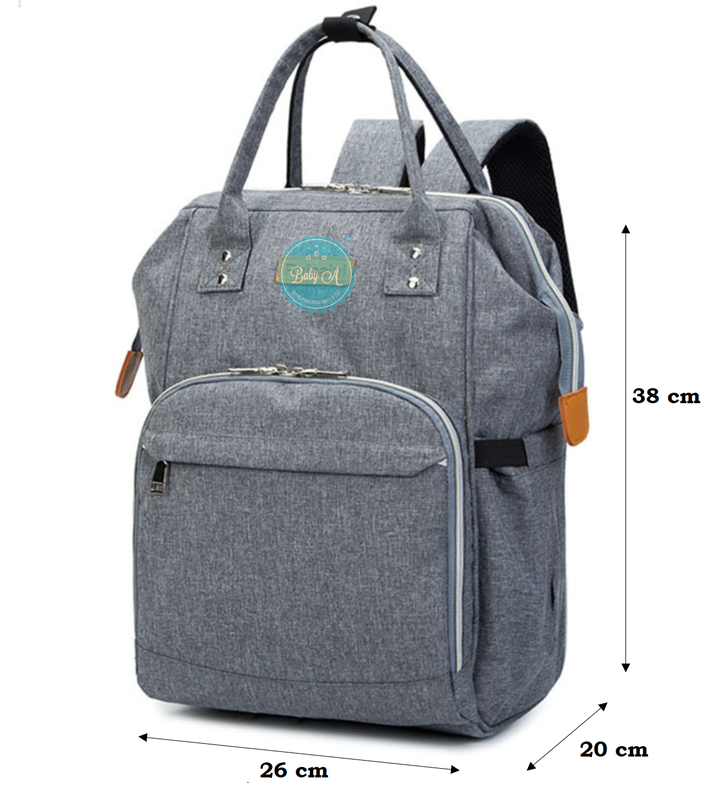 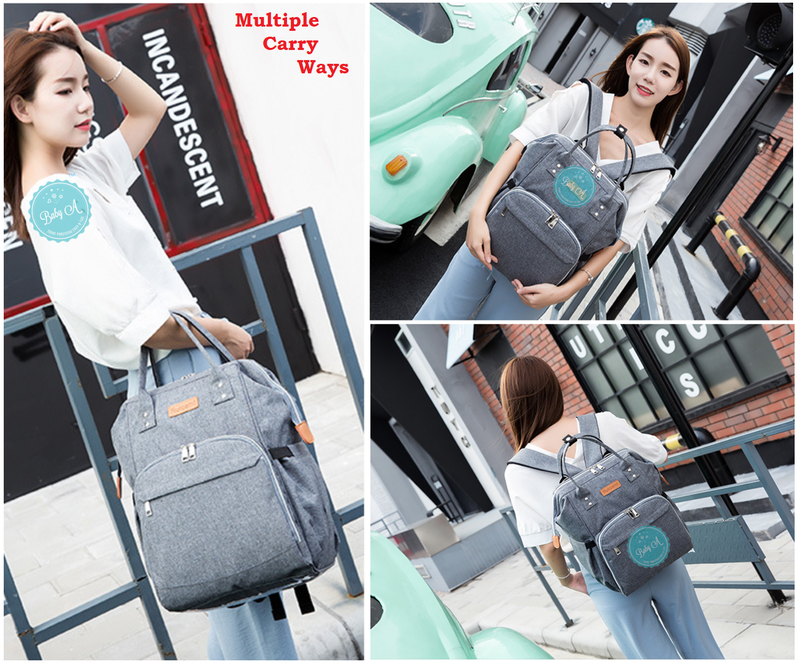 You can use this bag as backpack and handbag.It&apos;s comfort to carry all day with board backpack straps. 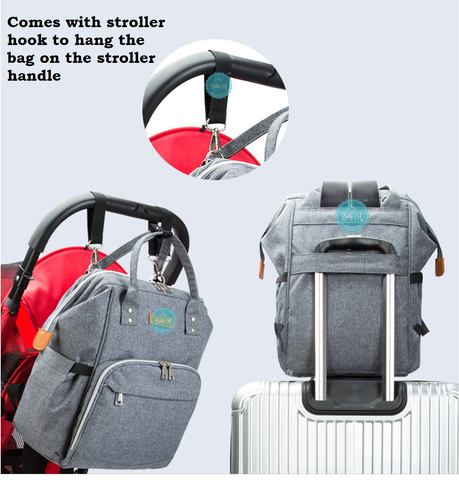 Rivet reinforcementhand straps and you don&apos;t need to worry about the bag falling apart.